Snowden: Leak of NSA spy programs "marks my end"
WASHINGTON The computer technician who passed classified documents to reporters about two sweeping U.S. surveillance programs has revealed his identity and motives, risking decades in jail -- if the U.S. can extradite him from Hong Kong, where he is said to have taken refuge. Edward Snowden, 29, who told The Guardian and The Washington Post he had worked as a contractor at the National Security Agency and and as an employee of the CIA, allowed the newspapers to reveal his identity Sunday. Last week both papers had published a series of top-secret documents outlining two NSA surveillance programs. One gathers hundreds of millions of U.S. phone records while searching for possible links to known terrorist targets abroad; the second allows the government to tap into nine U.S. Internet companies to gather all domestic Internet usage to detect suspicious behavior that begins overseas. Snowden said he instigated one of the biggest government leaks in U.S. history to inform the public of what he called "the greatest danger to our freedom and way of life." He was a systems engineer and administrator for the CIA, and most recently worked as a contractor at the U.S. National Security Agency. "I, sitting at my desk, certainly had the authorities to wiretap anyone, from you or your accountant to a federal judge or even a president," Snowden said. "Even if you're not doing anything wrong, you're being watched and recorded. You simply have to eventually fall under suspicion from somebody, even by a wrong call, and then they can use the system to go back in time and scrutinize every decision you've ever made, every friend you've ever discussed something with." As a whistleblower, he says his life is forever changed. "You can't come forward against the world's most powerful intelligence agencies and be completely free from risk, because they're such powerful adversaries, that no one can meaningfully oppose them. If they want to get you, they'll get you in time." In an article published on Sunday, Washington Post reporter Barton Gellman wrote that in his earliest communications with Snowden, the NSA contractor said he understood that he would be "made to suffer for my actions, and that the return of this information to the public marks my end" -- and that the threat extended to journalists investigating the story before it becomes public. The U.S. intelligence community, Snowden wrote to Gellman, "will most certainly kill you if they think you are the single point of failure that could stop this disclosure and make them the sole owner of this information." But he further stated that he wanted to pursue the leak despite what had happened to whistleblowers in the past, "to embolden others to step forward," to show that "they can win." Snowden, who said he was a technical assistant for the CIA before working as an employee Booz Allen Hamilton under contract to the NSA, could face many years in prison for releasing classified information if he is successfully extradited from Hong Kong, according to Mark Zaid, a national security lawyer who represents whistleblowers. Snowden told the Guardian newspaper he believes the government could try to charge him with treason under the Espionage Act. Zaid told the Associated Press that, if convicted, Snowden could be subject to a 10 or 20 year penalty for each count, with each document leaked considered a separate charge. But Zaid said that would require the government to prove he had intent to betray the United States, whereas Snowden publicly made it clear he did this to spur debate. The government could also make an argument that the NSA leaks have aided the enemy -- as military prosecutors have claimed against Army Pfc. Bradley Manning, who faces life in prison under military law if convicted for releasing a trove of classified documents through the WikiLeaks website. "They could say the revelation of the (NSA) programs could instruct people to change tactics," Zaid said. That could add more potential jail time to the punishment. Chief White House correspondent Major Garrett said that, since the Guardian and Washington Post revealed the existence of the NSA surveillance programs, the response by President Obama and his administration has been to justify the legal grounds for secret phone snooping and data mining. "Many of these explanations have been defensive, asserting what the snooping and surveillance is not," said Garrett. "That's designed to hold the political line in Congress." But through it all, Garrett said, "the White House has had to admit a politically and tactically startling truth: It conducts more surveillance than the Bush White House. "The Obama administration insists that it has built many more safeguards and checks and balances within that surveillance, but it would have preferred not to admit to surveillance, and now it knows it's going to have to prove in the court of public opinion all the safeguards and checks and balances built around that surveillance," said Garrett. Director of National Intelligence James Clapper says they do not target U.S. citizens. But Snowden claims the programs are open to abuse. Senior correspondent John Miller said that the U.S. intelligence community is largely run not by government staffers but by contractors: "When I was working as a director of national intelligence, I had a staff of six or seven government employees and 38 contractors. That's not terribly unusual out there." Miller noted that Snowden's access to classified material was not as an intelligence analyst, but as a computer technician. "According to him, he's supposedly involved in computer security so that allows you to roam through the system. His authorities are nothing like what he said they were, though," he said. This week they will talk about going forward with a criminal investigation. "He's made himself the prime suspect. He could get indicted, charged, and subject to extradition," said Miller. Ten years ago Hong Kong extradited three al Qaeda suspects to the U.S. But the extradition treaty between Hong Kong and the U.S. includes provisions allowing a request to be rejected if it is deemed to be politically motivated or that the suspect would not receive a fair trial. "Allowing the U.S. government to intimidate its people with threats of retaliation for revealing wrongdoing is contrary to the public interest," he said in the Post interview published Sunday. Snowden said he would "ask for asylum from any countries that believe in free speech and oppose the victimization of global privacy." The Post reports the Justice Department is in the "initial stages" of an investigation into the leak. Rep. Eric Cantor, the House Republican leader, said that an investigation this week on Capitol Hill into the NSA programs "will be very serious, obviously. We'll be dealing with a balance between national security and safeguarding our civil liberties." Cantor said that the NSA programs, as set up, were legal. "There's no question that there's some extraordinary programs with extraordinary breadth, but when Congress after 9/11 went about enacting some of these programs, what it did was empower our law enforcement officials, and did so in a constitutional manner. Now we don't know what happened in this instance, and we've got to find out." Snowden told The Guardian he lacked a high school diploma and served in the U.S. Army until he was discharged because of an injury, and later worked as a security guard with the NSA. He later went to work for the CIA as an information technology employee and by 2007 was stationed in Geneva, Switzerland, where he had access to classified documents. During that time, he considered going public about the nation's secretive programs but told the newspaper he decided against it, because he did not want to put anyone in danger and he hoped Obama's election would curtail some of the clandestine programs. He said he was disappointed that Obama did not rein in the surveillance programs. "Much of what I saw in Geneva really disillusioned me about how my government functions and what its impact is in the world," he told The Guardian. "I realized that I was part of something that was doing far more harm than good." Snowden left the CIA in 2009 to join a private contractor, and spent the last four years at the NSA, as a contractor with consulting giant Booz Allen Hamilton and, before that, Dell. 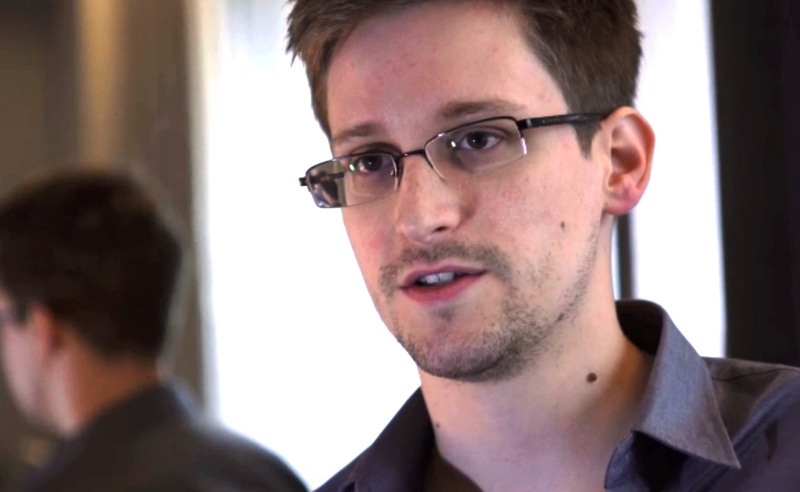 CBS News has confirmed that Snowden attended Arundel High School in Maryland. He dropped out in the beginning of his second year of high school. He left for Hong Kong on May 20 and has remained there since, according to the newspaper. Snowden is quoted as saying he chose that city because "they have a spirited commitment to free speech and the right of political dissent", and because he believed it was among the spots on the globe that could and would resist the dictates of the U.S. government.